Extra Virgin Olive Oil is the most healthy olive oil but this does not mean that virgin olive oil is not healthy as well. It just is not as healthy as the extra. 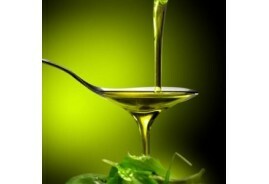 Olive oil color depends on the olive variety, the cultivation region, etc. Judging olive oil quality purely on color is not safe unless you know the variety, the region of origin and you are acquainted on the specific characteristics of them. As for all products, part of the price reflects to packaging. Because of that the same olive oil will needlessly be more expensive if bottled in a luxurious container. To this end judging quality simply on price is not safe. Storing olive oil near a heating devise (e.g. a kitchen oven) and/or in direct sun light will gradually alter its composition. That is why it is recommended that olive oils are stored in a kitchen closet and in dark colored or non-transparent canisters. Extra Virgin Olive Oil, due to its high content in antioxidants, mainly polyphenols, remains stable slightly over the temperature of 200 Celsius degrees. This in turn means that since most frying takes place below the temperature of 200 degrees Celsius, frying does not alter olive oil composition. Because of its composition it is not unusual that olive oil becomes cloudy at low temperatures. This is absolutely normal and does not affect olive quality or destroy its nutritional characteristics – all one has to do is allow olive oil to return to room temperature. Labels are not an exhaustive presentation of the olive oil consistence but they present enough information that allows the consumer to understand many crucial characteristics of what he is procuring e.g. if the oil is organic or not, the oil’s quality grade, the place of origin, the olive variety, the expiration date, etc. As recent scandals of erroneous labeling have proved, labels cannot be blindly trusted. One should prefer renown, award winning, certified producers and be suspicious of low priced products that claim a very high quality product. Olive oil has not a strict expiry date, i.e. a date after which the product presents a health risk. To the contrary, olive oils have a “best (to consume) before” date which indicates the time at which the deterioration of the flavor and taste become significant.